Dungeon Robber created by Paul Hughes. Images used for educational purposes only. A dungeon. A myriad of ways to explore it. A single, lonely adventurer, with naught more than a club and a thirst for gold. Yep, that sounds like a Dungeons & Dragons adventure - though in this case you won't have to sit around a gaming table to play it. 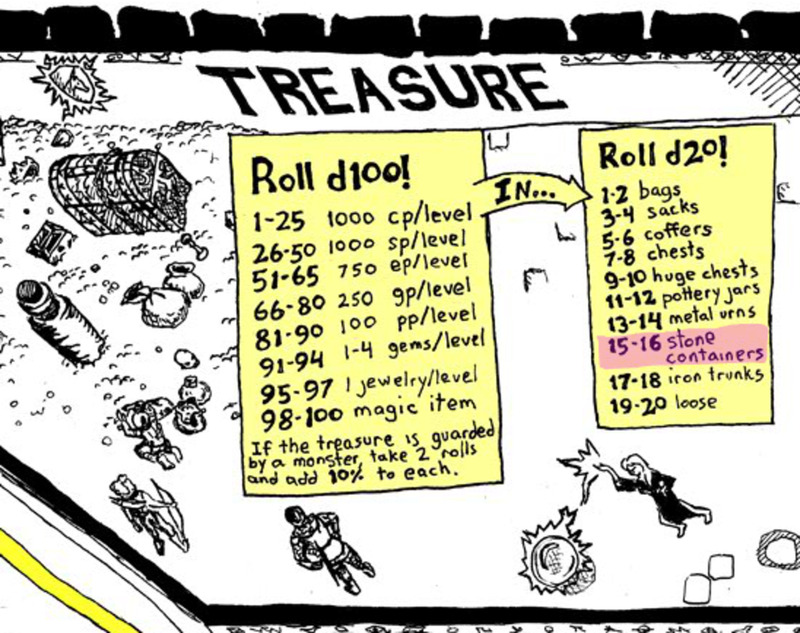 Welcome to Dungeon Robber, one of the most insidious offshoots of the D&D brand. Are you prepared for a long, dangerous trip into the darkness? Dungeon Robber is a rather unique RPG in that you (probably) won't play as a single character. Instead, Dungeon Robber drops you in the shoes of a never-ending stream of would-be adventurers. All of them begin without a single gold coin to their name, each hoping to strike it rich. The more gold you get, the more powerful you become. To what end, you ask? Simple: retirement. 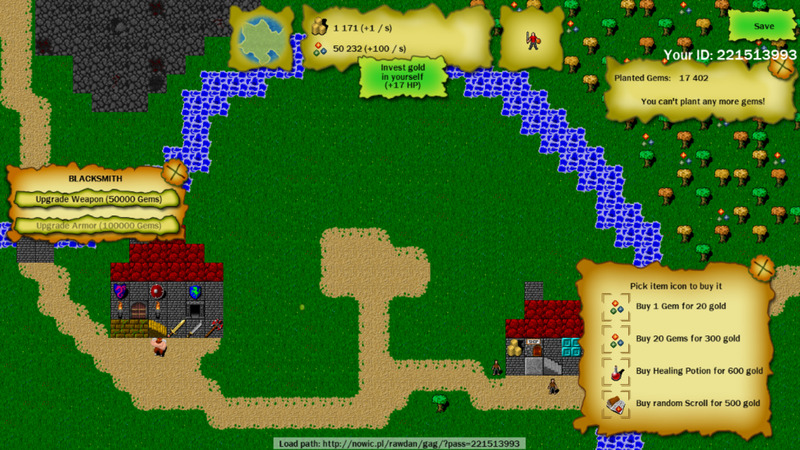 Dungeon Robber's retirement system runs concurrently with its leveling system. Once a character reaches a minimum of level one, he or she may 'retire' and stop adventuring. Said character is then removed from your control, and, assuming you haven't retired a character of the same level before, you'll unlock something new in the town. You then create another character and start over. Each character operates via the use of a number of stats. Some of them change, some of them don't. When creating a character, you are allowed to choose two stats which are particularly high; once you have a class other than Dungeon Robber, one of these stats becomes compulsory. STR. Strength. Determines your raw hitting power in melee combat. Characters with high STR get a +1 bonus to hit, to damage, and to opening doors. INT. Intelligence. The measure of your knowledge. Characters with high INT get a +1 bonus to backtracking to the stairs while in the dungeon. They may also use magical scrolls. WIS. Wisdom. Your common sense. Characters with a high WIS receive a base saving throw of 3 rather than 4. They can also use Cleric scrolls. DEX. Dexterity. You're good with your hands. Characters with a high DEX receive a+1 bonus to their AC and their sneaking checks. CON. Constitution. Your physical hardiness. Characters with a high CON receive one extra point of health with each new level, including level zero. CHA. Charisma. The gift of persuasion. Characters with a high CHA receive a +1 bonus to reaction rolls such as Parley. They can also have two henchmen rather than one. Stats aside, Dungeon Robber also operates on several other numbers which you should understand before you embark on a trip into the depths. Level. Your level of experience. The higher your level, the stronger you are. XP. The amount of experience you've accumulated. Experience points are needed to move up in levels. HP. Your health. When your health reaches zero, you're dead. Best not let that happen. Armor Class. Also known as AC. AC determines how well armored you are, and all creatures have an AC. In order to successfully hit something, you must roll a number equal to or above the creature's AC. Anything below that and the attack is wasted. AC can be raised by equipping armor and a shield. Saving Throw. Whenever you encounter a trap you must make a saving throw to avoid the effects. The number indicated is the minimum amount you must roll to pass the saving throw. Most characters will have a minimum saving roll of 4. Sneak Bonus. Whenever you try to sneak past a monster you must roll to see if you're successful. A bonus will make your sneaking efforts a little easier. Attack Bonus. A to-hit bonus. Makes beating things up a bit simpler. Note that attack bonus is not the same as damage. Weapon Damage. The amount of damage you'll roll if you manage to successfully hit a monster. The value indicated (1D6, for example) changes depending on the weapon you have equipped. 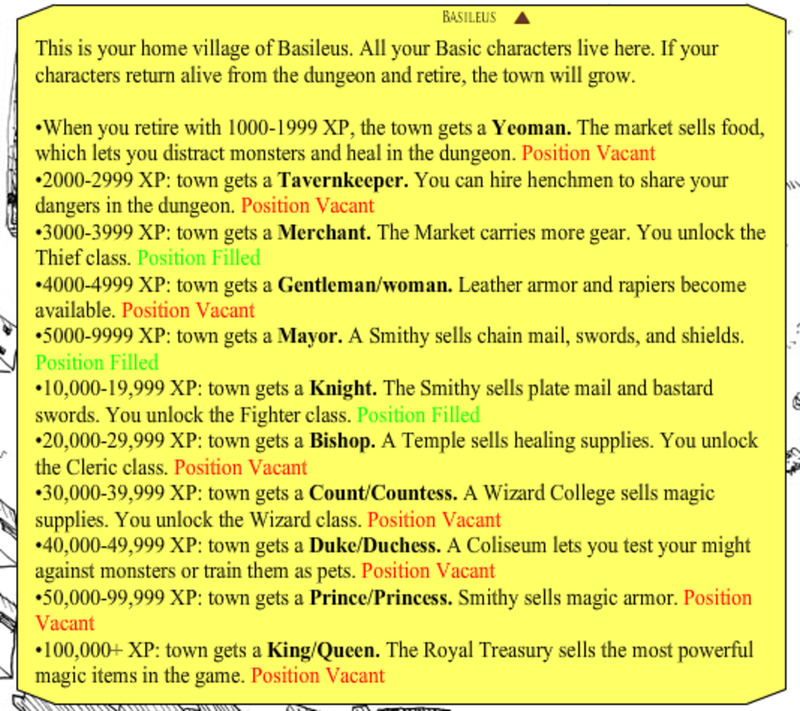 Like the RPG from which it springs, Dungeon Robber operates on a class system. Each new character you create begins life with a profession at which they particularly excel. This profession allows the character to perform well at some things and not so well at others. Dungeon Robber. The base (and worst) class. Newcomers to Dungeon Robber have to choose this class. Dungeon Robbers are not specialized, have average starting hit points, and receive no special boons (not have a particular weaknesses). After unlocking an alternate class, you're probably better off not using Dungeon Robber again. Recommended stats are STR and CON. Thief. Unlocked after retiring a third level character. Thieves are swift and stealthy. They can more easily sneak by foes, and are capable of delivering a sneak attack when they catch an enemy off guard. Thieves are less likely to fall prone to traps, and can quietly pick the locks on doors. Thieves have a low starting HP, and are not a great class for beginners. Recommended stats are DEX, CON, and CHA. Fighter. Unlocked after retiring a sixth level character. Fighters are the combat brutes of Dungeon Robber. They have high HP, can wear the best armor in the game, and receive bonuses to melee attacks at each new level. Probably the best class for players who want to minimize risks. Recommended stats are STR and CON. Cleric. Unlocked after retiring a seventh level character. Clerics are holy men and women who can turn undead with ease. They're capable of casting restorative spells, but are also hardier than they appear in melee combat. So long as they don't run afoul of too many traps Clerics are good at sustaining themselves for long periods of time, perhaps more so than other classes. Clerics can heal themselves for free at home, and can cast Cure Light Wounds in the dungeon during combat and in dead ends. Recommended stats are WIS, STR and CON. Wizard. Unlocked after retiring an eighth level character. 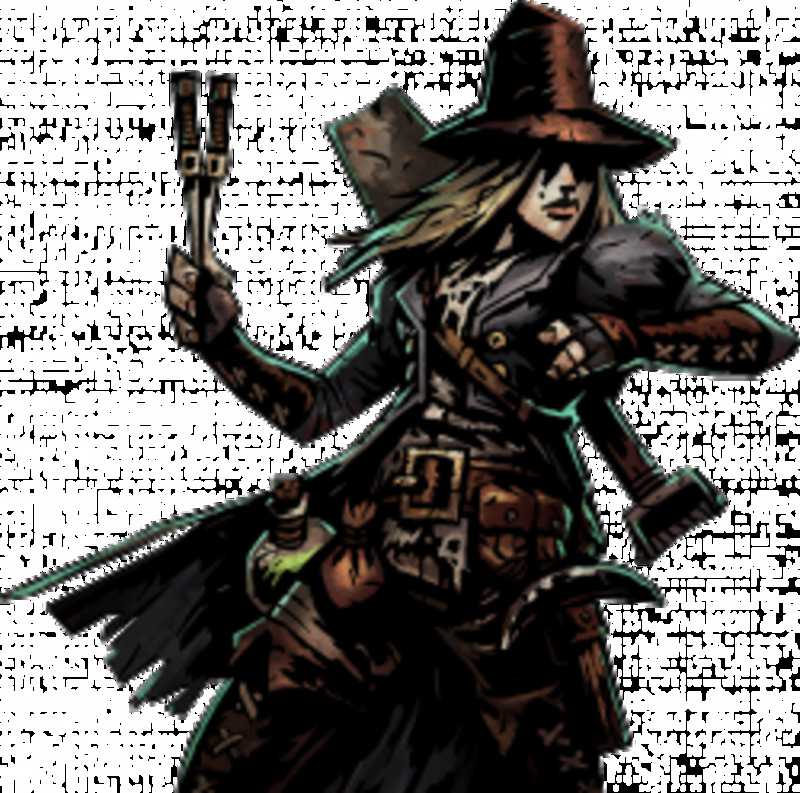 Wizards are arcane spellcasters with a knack for destruction. They'e capable of wielding some extremely powerful spells - but with the caveat that they're physically frail. Wizards can go far, but they're not recommended for beginners (which is fine, as you can't use one as a beginner anyway). Recommended stats are INT, DEX and CON. Killing monsters is fairly self-explanatory. Banking gold is not. Gold is the primary monetary unit in Dungeon Robber. Everything that is sold is listed in gold pieces. Additionally, whenever you turn in money at the Bank, you'll receive an amount of experience equivalent to the amount of gold banked. Everything you collect that isn't an item will automatically be converted into gold. This includes gems and jewelry. There are five different types of coins in Dungeon Robber. Each has a conversion value with gold. Copper Pieces (CP) are the lowest denomination. One thousand copper is equivalent to one gold piece. Silver Pieces (SP) are next. One hundred silver is equivalent to one gold piece. Electrum Pieces (EP) come third. Two electrum is equivalent to one gold piece. Gold Pieces (GP) sit near the apex. The conversion is obvious. Platinum Pieces (PP) are the top of the food chain. One platinum is worth 5 gold pieces. Gems are worth 250 gold each. Jewelry is worth 1,000 gold each. Dungeon Robber is set in a small, rustic town that's ripe for expansion. It begins with a small selection of buildings, and each time you retire a character you'll likely construct a new building to add to the collection. Each is useful in its own way. Dungeon. The place where you'll do all your exploring. The bulk of the game is spent in the dungeon, with only occasional returns to town. Home. Everybody needs a bed to return to at the end of a long day, and the bed in your home will restore your HP… assuming you have the money to afford the healing. You can also retire your character and start a new one from your home. Bank. All money flows towards the bank. It's here that you'll stow away your heard-earned gold for experience. If you're low on gold you can also borrow 100 GP from the bank, though you do so at a 100 percent interest rate. You cannot bank gold until you've paid off any debts. Market. Purveyor of basic goods. Starting equipment is found at the market. This is also where you'll sell most of the stuff you find in the dungeon. Upgraded at level four. Graveyard. Every time you die in the dungeon and decide to retire the character they'll end up here. RIP. Adventurers' Monument. Not all adventurers wind up in the graveyard, and those successful few who retire with a fortune in their pockets will be immortalized here. Inn. Spin tales of your exploits for those fetid souls who will listen. Drop enough coin at the inn and you may attract followers who will help you slay the beasties of the dungeon. Unlocked at level two. Smith. Market not advanced enough for your tastes? The smithy can provide hardier arms and armor. Unlocked at level five, and upgraded at levels six and ten. Temple. Food can only take you so far. Eventually, you'll want to be able to buy Healing Potions. This is the place to do it. Unlocked at level seven. Wizard College. Want some scrolls that you didn't have to fish out of an underground river? You can buy them here for a pretty penny. Unlocked at level eight. Coliseum. Followers are fun, but they'd be more fun if they were monsters. A coliseum will allow you to use a Whip to tame monsters and use them in your party. You can also straight up fight monsters for experience at the Coliseum. Unlocked at level nine. Royal Treasury. It can take a long time to find a weapon with a magical bonus. 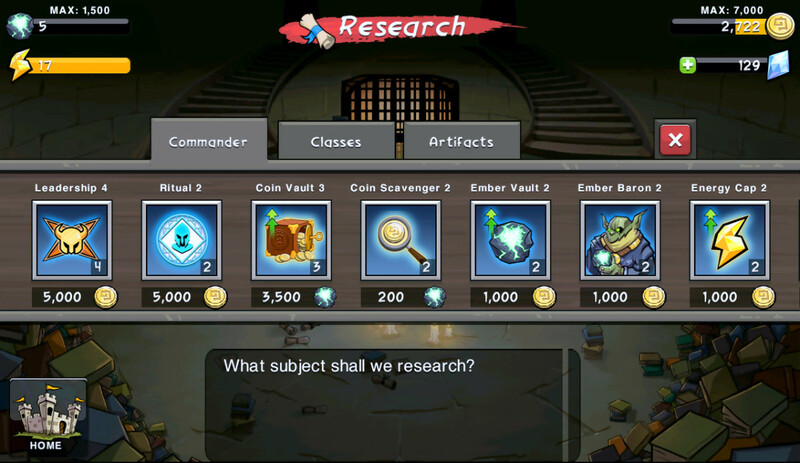 The Royal Treasury will expedite your search… so long as you have a lot of coin to drop on their wares. Unlocked at level eleven. 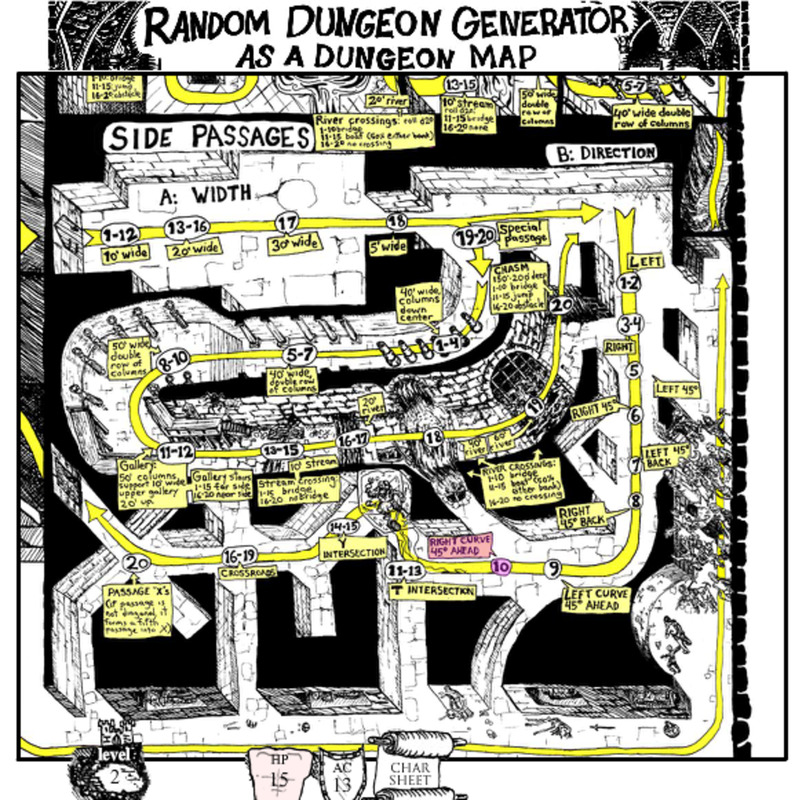 Dungeon Robber is based upon the mechanics of a random dungeon generator. Consequently, it is possibly the least predictable game you could ever play. Every time you make a decision as to where you want to go, the layout of the dungeon will change. There is no way to properly map this dungeon, as it's virtually impossible - and, thus, difficult to plan for. You never know what's going to happen. Can you plan at all? Of course you can. There are plenty of precautions to take for better ensuring your safe escape at the end of each trip into the dungeon. Here are a few things to keep in mind. Each time you enter the dungeon, your game will be saved. This is the only time that Dungeon Robber will save the game. If you die inside the dungeon, all progress will be lost. This behooves cautious players to not spend too much time in the dungeon - if you find some premium loot, leave before you get killed. Whenever you embark into the dungeon, your explorer will be able to find his or her way back to the entrance… to a point. If you explore for too long without backtracking to the entrance, you'll become lost. Thereafter your robber will be forced to 'wander' in the hopes of finding the way back. A lot of bad things can happen before you find the entrance again. To be safe, return to the entrance every three to four turns. The same goes for the stairs on lower levels. 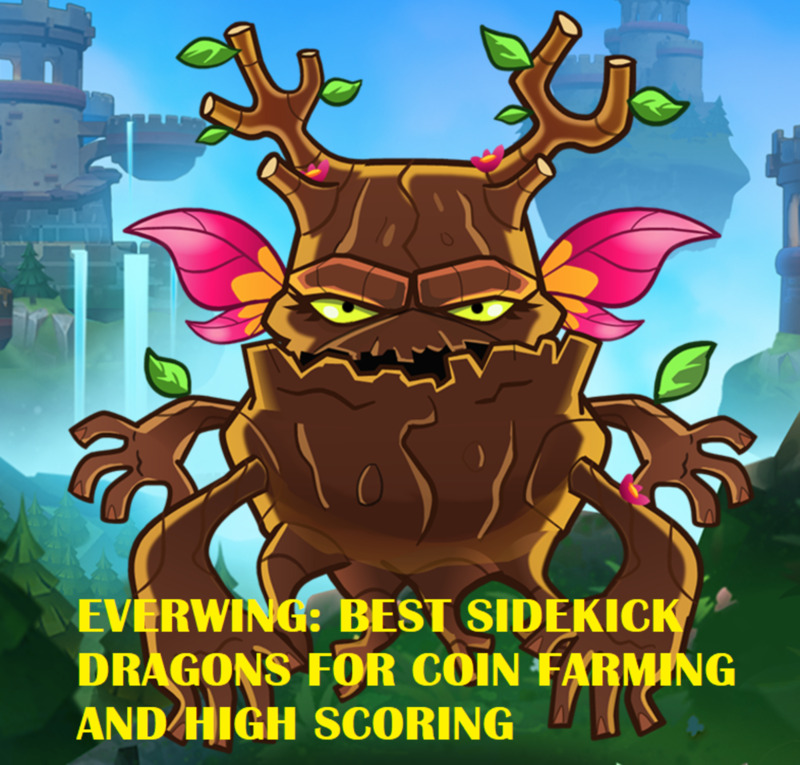 Characters with a high INT score will have much less trouble finding their way back. Don't pay too much attention to direction prompts. This is a random dungeon. One way is just as likely to be bad as the other. All you can do is trust to luck. Once your HP is running low, assuming you have no way to heal yourself, it's time to leave. Make tracks for the entrance. Ignore stuck doors, don't search for secret doors, sneak past or run away from monsters, and forget about treasure chests. Yes, you could miss out on some awesome loot on this last one, but you could also trip a trap and get yourself killed. You should only actively explore if you're at 70 percent of your total health or above. Don't descend to lower levels until you're properly prepared! 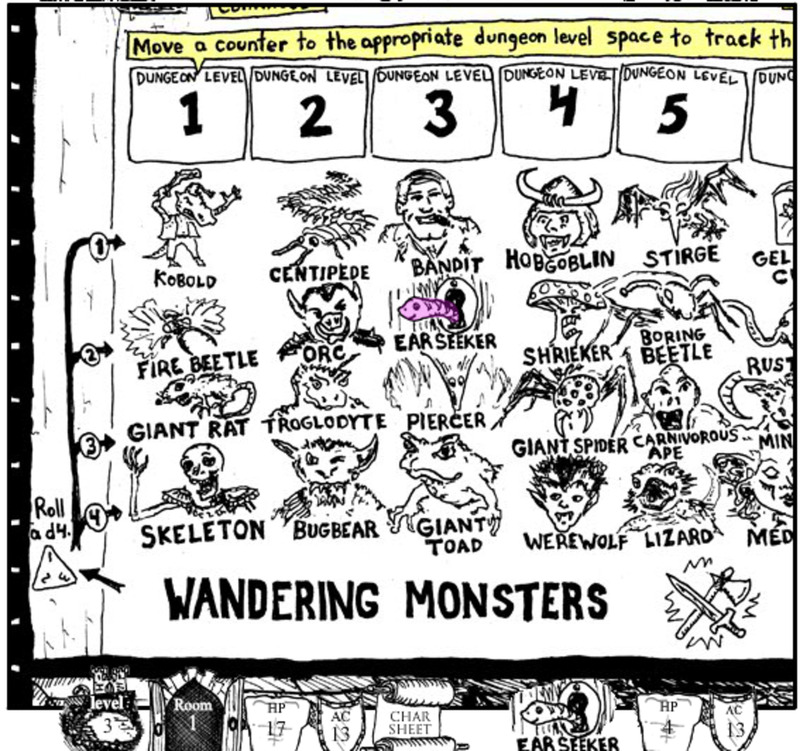 There are ten levels to this dungeon, each with crueler traps and stronger monsters. Stay on your current floor until you're double that number in level. For example, first- and second-explorers should stay on the first floor, while third- and fourth-level explorers can move on and try the second. 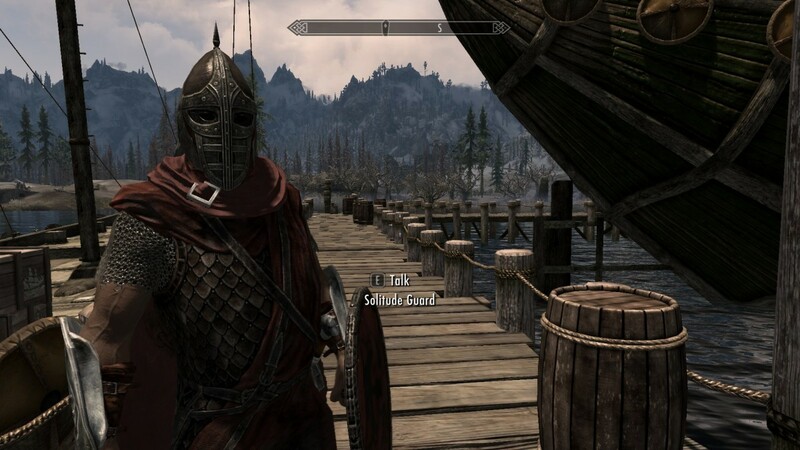 You can be slightly bolder once your character has a class other than Dungeon Robber, but not much bolder. If you wind up on a lower level through no fault of your own, make escape your first priority. Wander until you find stairs back to the entrance. Every now and then you'll get unlucky and have to fight two monsters at once, but most of the time you'll go one-on-one with the denizens of the dungeon. Combat can be resolved in multiple ways. Fight. Simple enough. You and the monster take turns bashing each other, rolling randomly for striking and damage. The first party to run out of HP (hopefully the monster) loses. Sneak by. If you're quiet you can get past the monster without alerting it to your presence. Sneaking isn't always successful, and it's typically Thieves who will make the most of this skill. Parley. Charismatic characters can convince monsters to leave them alone with a friendly greeting. Bribe. Alternatively, less charismatic characters can use Food or gold to convince monsters to leave them alone. Choose your bribe carefully - not all monsters respond in the same way, and some can't be bribed at all. Flee. Flight is always an option, though it comes with the cost of pursuit, as most monsters will follow you from room to room. To truly get away, you'll either have to turn and fight, make it to a set of stairs, or toss down a bribe to distract the monster. You will lose gold if you attempt to flee and are not carrying your wealth in a Sack. Your primary goal in Dungeon Robber is to plunder the dungeon of its wealth, as banking money is by far the fastest way to gain experience. 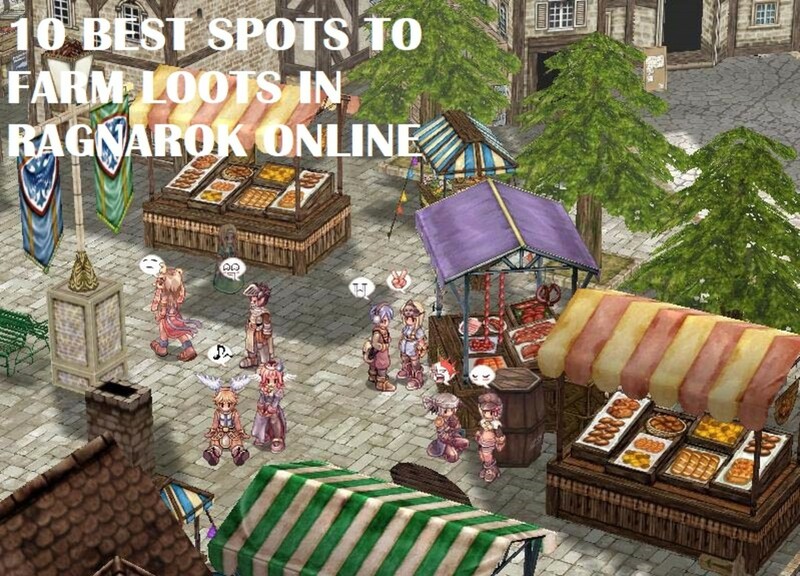 Consequently, you'll find treasure chests to be indispensable. You can fish items out of a river or steal some gold off of an Orc, but they'll never compare to what a treasure chest might offer. In most cases you want to open any treasure chests you find. A robber with full health isn't at much risk. That said, there are some stipulations to opening treasure chests. The amount of money you'll earn when opening a treasure chest is, as with everything else, randomly-determined. The amount is multiplied by the floor of the dungeon you're on, so 1,100 silver would be 2,200 silver on the second floor, 3,300 silver on the third, and so forth. Some chests are trapped. Indeed, the lower you go (or the higher the difficulty level), the more likely you'll come across a trapped chest. These traps can range from minor (scything blades aren't that bad) to instantly lethal (contact poison is very bad). Chests are more likely to be trapped if you don't have to fight for them. Kill a Kobold and the chest it was guarding will usually be safe. Find a chest at random and you'd best be cautious. Chests guarded by an enemy will also have two treasures rather than one. Killing is fun and profitable! 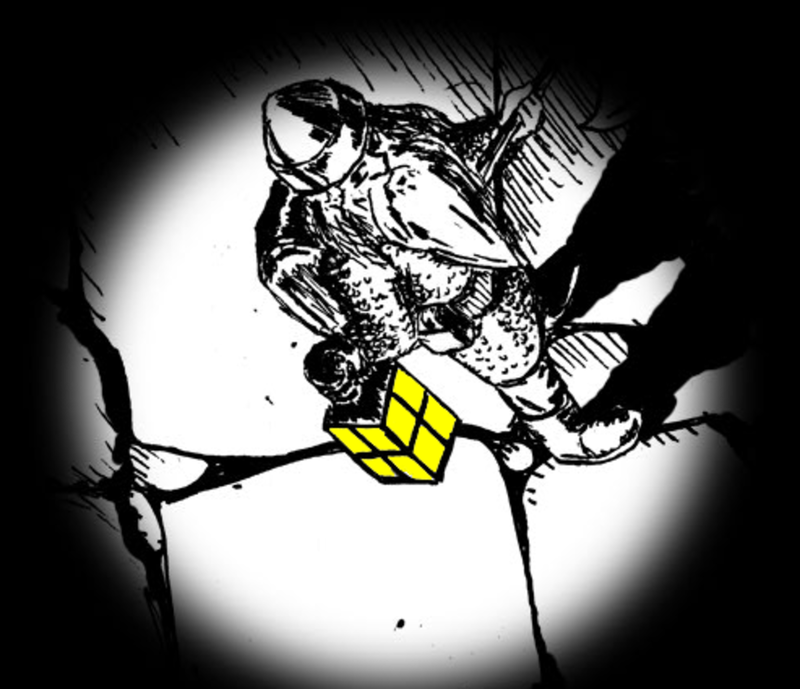 Thieves have an easier time bypassing saving throws, and, thus, can usually get away with opening every chest they find. Dungeon Robber is unsympathetic in almost every respect, and doors are a prime example of its brutality. Any door noted by the program is one that has to be 'forced' open. Roll high and the door will give way to another random event, potentially one of profit; roll low and you'll be forced to try again. Every time you unsuccessfully attempt to force a door you run the risk of attracting a monster, so avoid doors if you're low on health. Though risky for the average adventurer, Thieves will find doors easier to circumvent. A Thief has one chance to quietly open a door. Failing that, the Thief will have to break the door open as normal. Fighters, by contrast, get a +1 to their roll when trying to force open a door. It's up to you whether or not you'll pursue these mystery prizes. More often than not they're nothing to worry about, so unless you're low on health and trying to escape (or just a paranoid explorer) you might as well take the risk. Traveling from one floor of the dungeon to another usually requires finding a set of stairs. These stairs are subject to randomization, so going down a single set may take you down more than a single level. Treat stairs with caution - an underleveled character can get in over their head quickly if they go too deep. Stairs are not always voluntary, nor are they always stairs. Sometimes you'll be forcibly dumped one or more levels down. When this happens you'll be forced to stumble around blindly on the new level until you find another route back up. Note that taking a set of up stairs on the first level will typically take you back outside the dungeon. Occasionally you'll discover rivers running through the dungeon. They'll appear on every level, and can be exploited if you have a Fishing Pole. Rivers yield a medium to large amount of Food, as well as the occasional piece of equipment… but they may also give you a Sea Monster to kill. Don't fish unless you're prepared to fight. Sound like something of little consequence? Dead ends are much more useful (and hazardous) than they sound. You can do four things at dead ends. First, you can look for secret doors. There's no telling where these doors may lead. You have three opportunities to search for secret doors at each dead end. Second, you may safely eat Food. This option is not available elsewhere in the dungeon. Clerics can also cast Cure Light Wounds on themselves. Wizards and Clerics can rest and prepare new spells if they've used up their current store. Third, you may send a henchman you brought into the dungeon back into town to sell things you've found. This is a great way to free up space in your inventory without having to drop anything. Be warned! Every time you commit to an action, you run the risk of a monster emerging from a secret door and attacking you. Dead ends are not as safe as they sound. The last thing to note about Dungeon Robber is the difficulty level. Basic is just that: your explorations will be difficult, but they're not too hard. Advanced ratchets the challenge up significantly, offering up more monsters, more traps, and more deaths. It is not recommended that you play Advanced from the get-go, as you're likely to set yourself up for a lot of frustration. Test the waters with Basic to start, and once you have a taste for adventuring, give Advanced a try. It's brutal, but rewarding. Happy hunting! I made it to level 14 the other night.